Our crowdfunding campaign has ended, but you can still support Taiwanese Culture Night by clicking here. What is Taiwanese Culture Night (TCN)? 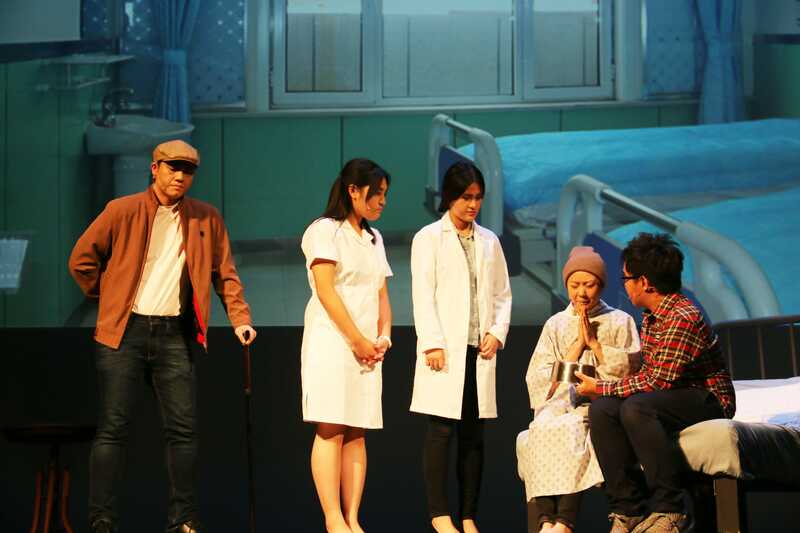 Taiwanese Culture Night is an annual, original student-run stage production hosted by a group of passionate students at UCLA. It is held in Freud Playhouse on campus and free for anyone who wishes to attend. Over 50 students put in countless hours of effort in all aspects of theater, including producing, scriptwriting, directing and acting, stage design, and media production, to put on a show for an audience of 500. 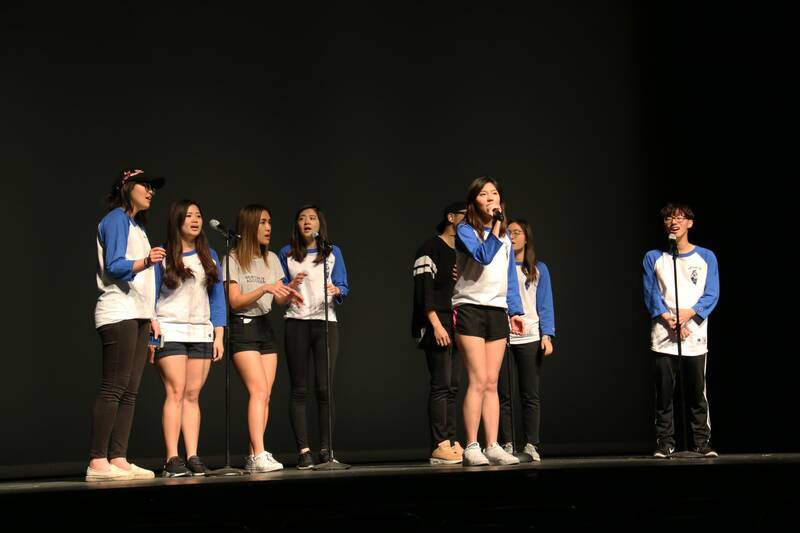 In addition, TCN invites vocal performances from TauCapella, and dedicate the entire production to tell a story that educates our UCLA community and beyond about Taiwanese American culture and relevant issues that make an impact on us all. Taiwan's history and culture are amazingly diverse. This year’s story highlights the period of time when the tension between Taiwanese local residents and Mainlanders who moved to Taiwan after the Chinese Civil War was heightened and when freedom was merely a concept. Set during the world second longest martial law, the story depicts how people of different origins stand tall through the darkest days and persist on a common dream – fight for a better tomorrow. The story is built around a romantic story of a young couple fighting against cultural and political barriers. Through reflecting the past, we re-examine what we have today and who we are as Taiwanese. The Directors wanted to convey to our audience that in the end, no matter you are "bensheng ren" (Taiwanese local resident) or "waisheng ran" (Mainlander), we all live in the same country and celebrate the same cultural richness of Taiwanese heritage. Taukappella, originally named “TAU A Cappella,” was formed in 2006 by a group of UCLA students who enjoy Mandarin pop music. Although our group members come from various ethnic, and academic background, all past and present members bond through their love for music and performing. Our music style continues to evolve over the years. We started off by singing a variety of genres of Mandarin pop songs. However, in recent years, we began to create mash-ups with English pop songs by artists like Bruno Mars and introduced Kpop culture to the group. 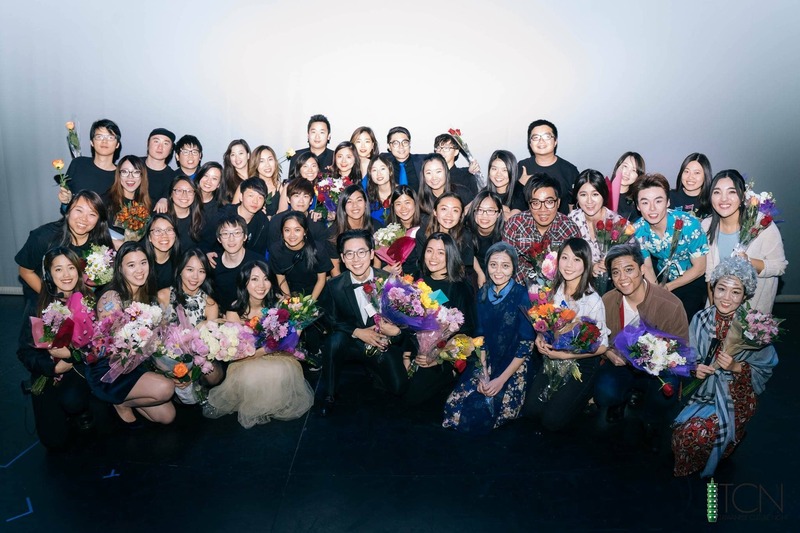 Throughout the years, we have expanded our audiences by performing at various venues throughout the LA community, ranging from on campus Lunar New Year Galas to off-campus events hosted by San Gabriel City Council, the Chinese Embassy, and more. We have spent a lot of time and effort preparing new music for this year’s TCN - we’re excited to be performing again and we hope you can support us! Taukappella, 原本名為"TAU A Cappella”， 是由一群熱愛華語流行音樂的學生於2006成立的人聲合唱團。我們的成員來自各種不同的文化背景，但是我們以前到現在的成員都擁有一個很大的共通點-- 我們對音樂與表演抱持很大的熱衷，也因為興趣相投而一起努力創造出能感動觀眾的音樂。我們從唱許多華語歌開始，但是近年，我們開始結合不同樂壇的音樂元素，例如英語歌手 Bruno Mars 的歌以及韓語樂壇 KPOP 的音樂。多年來，我們也積極在各種洛杉磯地區的活動表演以擴大我們的觀眾，從 UCLA 校園的迎春晚會到 San Gabriel 市議會舉辦的活動。我們為了今年的 TCN 精心準備了新的音樂，也很期待今年再度在 TCN 的舞台上為觀眾獻上我們的歌聲。希望你們能夠全力支持我們! Taiwanese Culture Night reaches a unique audience of about 500 students and faculty, some of whom attend with little to no knowledge of Taiwanese culture. Because admission is free, each year we are able to highlight our culture to a new audience and celebrate it with others in our community without hindering those with financial concerns. However, our production costs $20,000 to put on each year and as a free, fully student-run production we are asking you, the community, for your support. We want to continue raising cultural awareness to make an impact in the UCLA community. All donation is tax deductible. We, the Taiwanese Culture Night 2018 Team, sincerely thank you for your support. Your impact is the reason we are able to fulfill our dreams of expressing our passion and unique cultural backgrounds through the performing arts. We hope you are able to join us at our show on April 15th! Thank you for sponsoring Taiwanese Culture Night! To appreciate your help, we will send you a thank you E-letter. We would like to thank and acknowledge you for sponsoring Taiwanese Culture Night. We will produce a special thank you video with your name shouted out by the whole TCN team in it. We would like to thank you for sponsoring Taiwanese Culture Night by sponsoring us at the Sapphire level. You will receive 2 VIP tickets to the show and a 5.5” x 4.25” (half page) acknowledgment in the program for you to share a special message of encouragement to your bruin. Thank you for sponsoring us at the Rose Gold level! You will receive two VIP tickets, and a full page acknowledgment in the program for you to share a special message of encouragement to your bruin. We are overwhelmed by your commitment to our cause. You will receive 4 VIP tickets, a full page acknowledgment in the program for you to share a special message of encouragement to your Bruin, and a personalized message from our cast and crew to express our gratitude for your contribution after the show.